This premium lot has a beautiful view of both Back Bay and the pool. 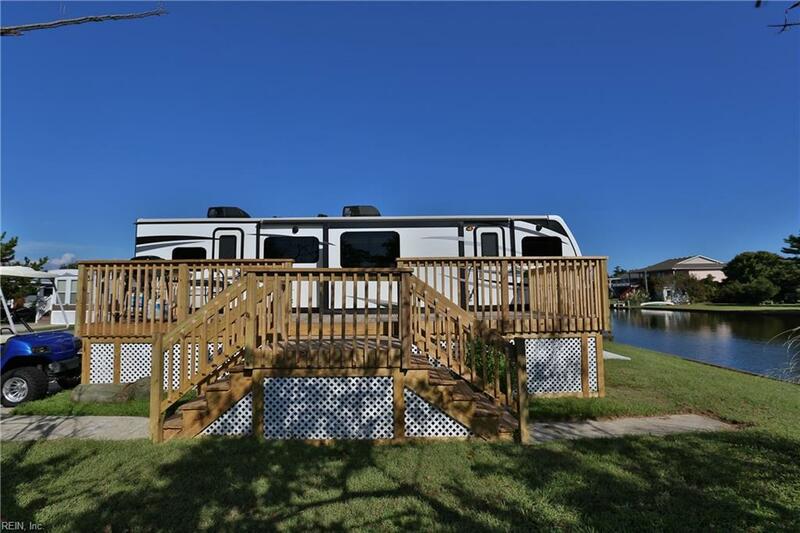 The 2017 Outback 332 FK Travel Trailer sleeps 6, is thoughtfully situated on the lot for increased privacy and backs up to the bay. 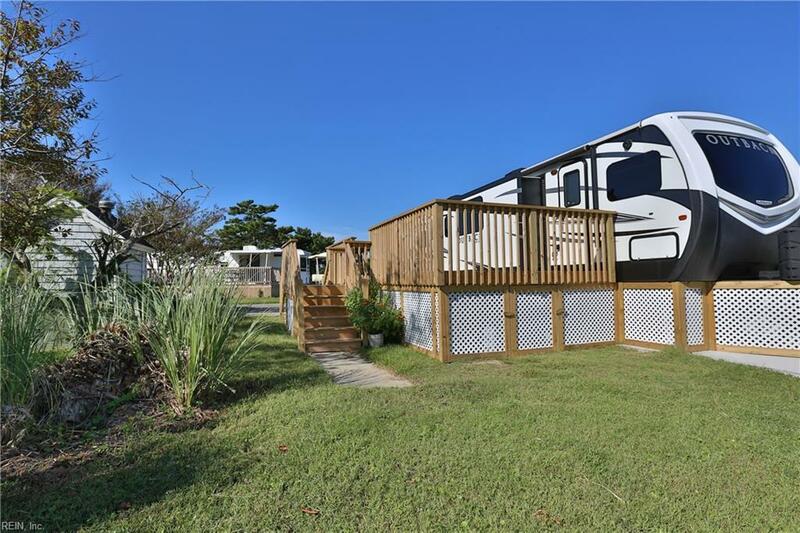 This unit is complemented by a pad, 10x20 deck, and FEMA compliant footers and tie-downs all installed in 2018. 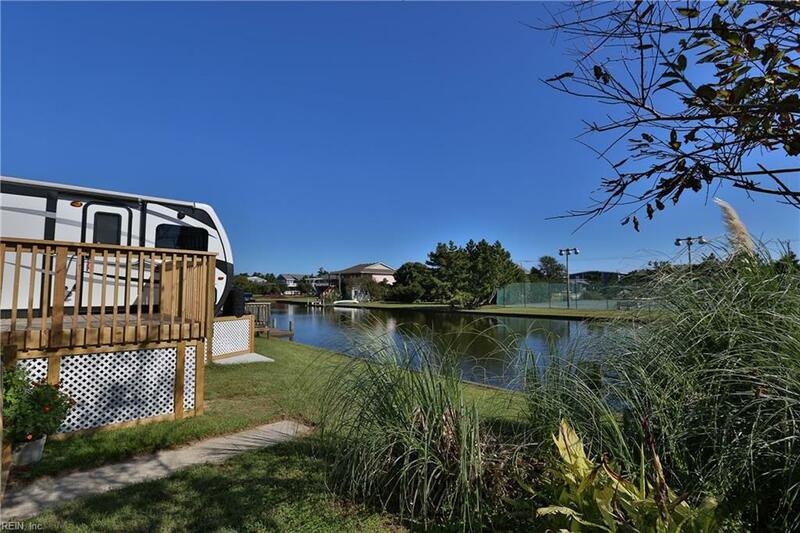 Enjoy your time fishing off your deck, watching the sun set, exploring Sandbridge or at the beach which is just yards away. After a day on the water moor a watercraft at the docking area in front of the lot. 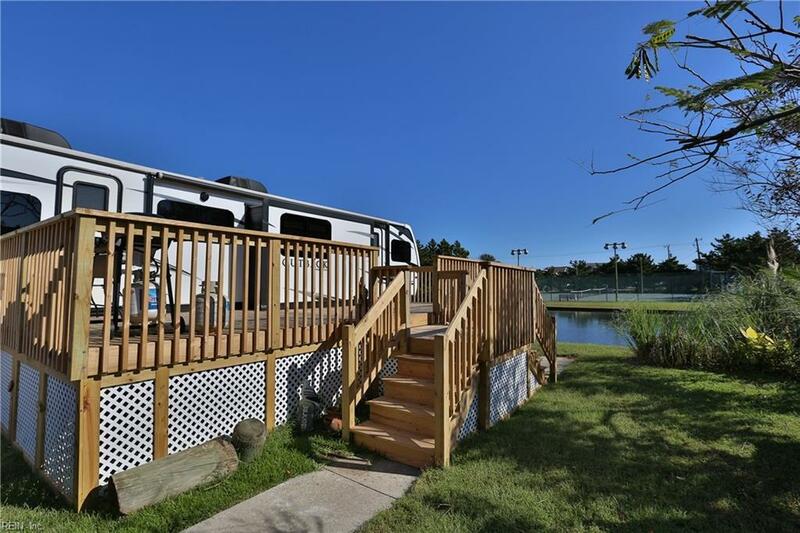 Located within Outdoor Resorts of America, this Luxury, gated, RV resort offers several amenities including a community boat launch, clubhouse, weight room, pool, hot tub, park, tennis courts, basketball court, volleyball pit, horseshoe pit, sauna, and Wi-Fi.